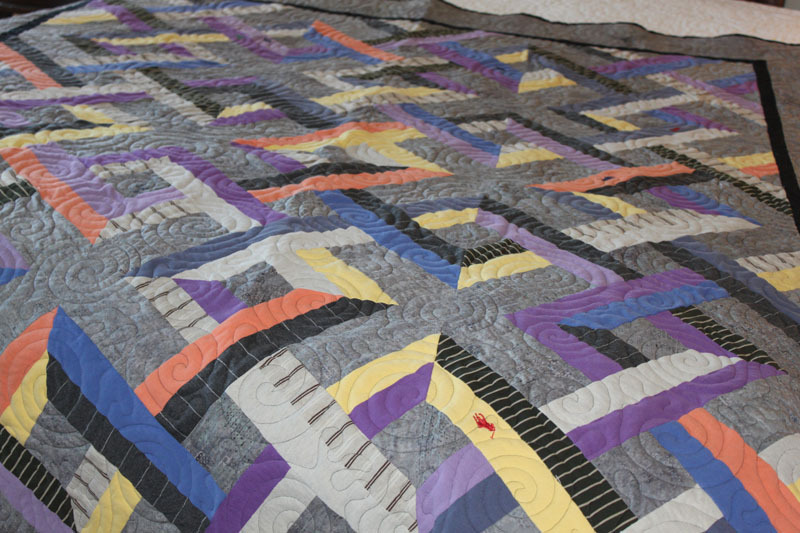 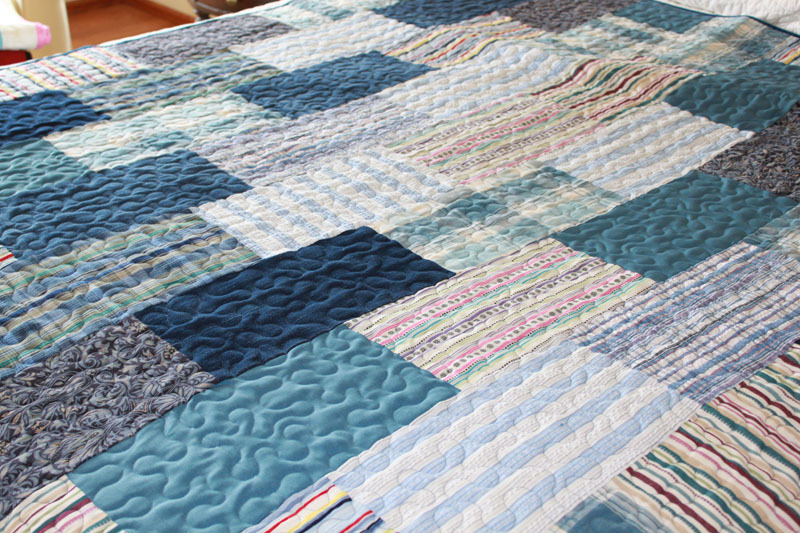 We believe memory quilts are far too special to use the "cookie cutter" approach most quilt companies employ. 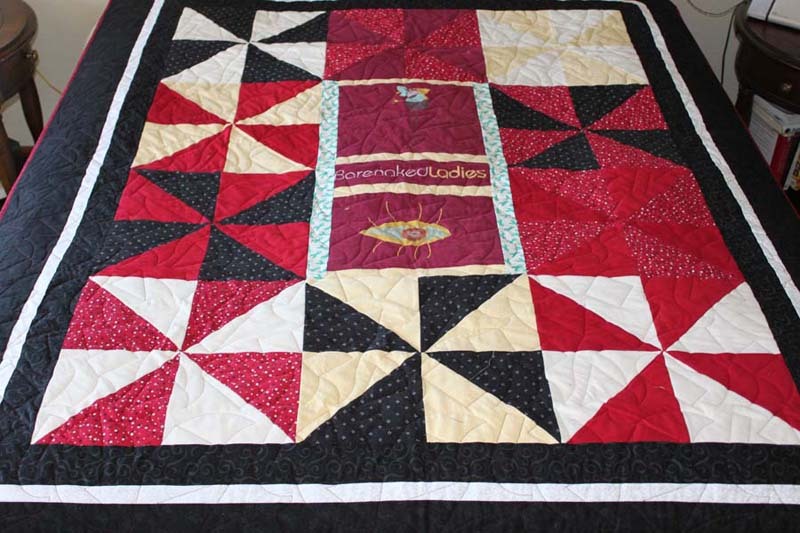 We custom design each facet of every memory quilt. 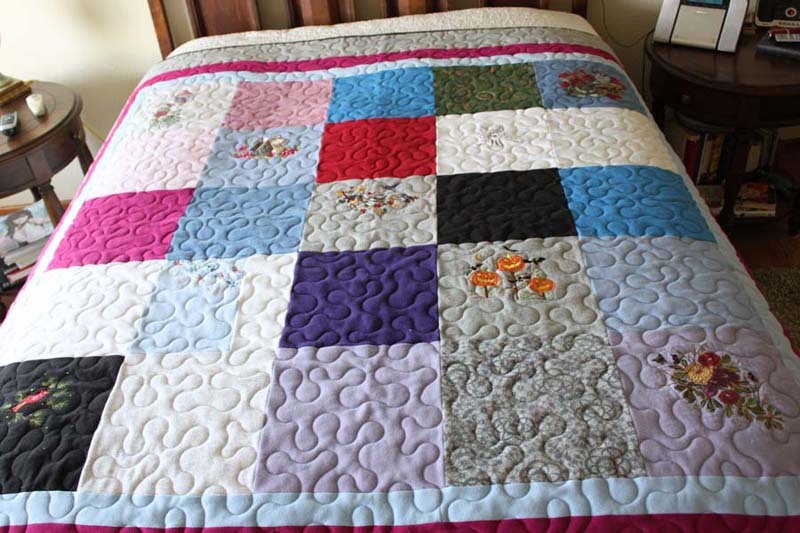 From the overall design to the final quilting stitch, we strive to enhance and bring to life the bits and pieces of your loved one's clothing and other fabric items you provide. 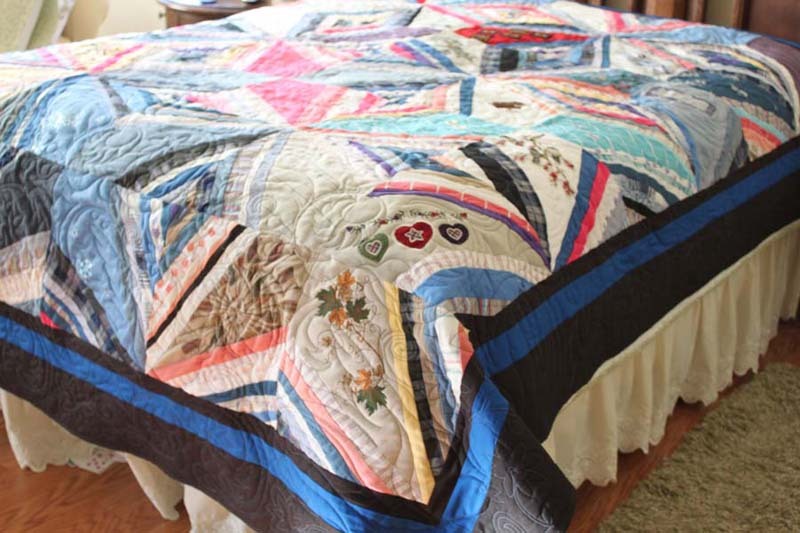 Our goal is to provide not only a quilt made of memories, but something that can be used and cherished for generations. 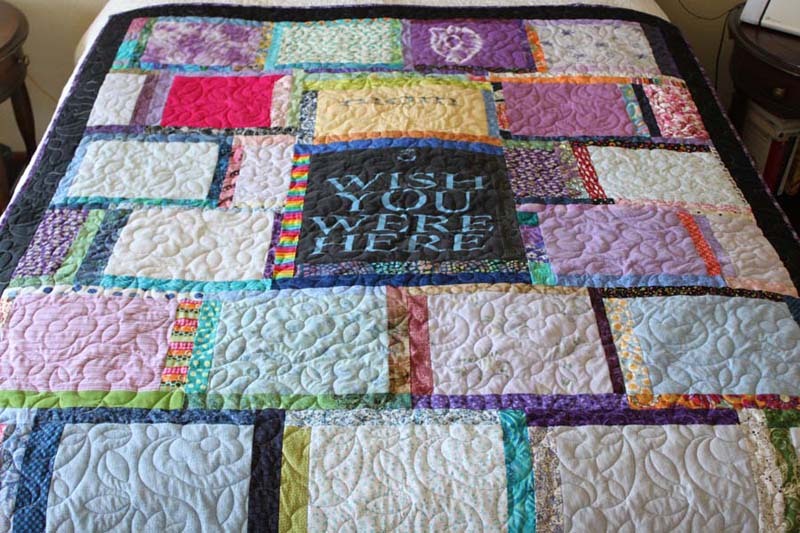 Memory quilts come in all sizes and styles. 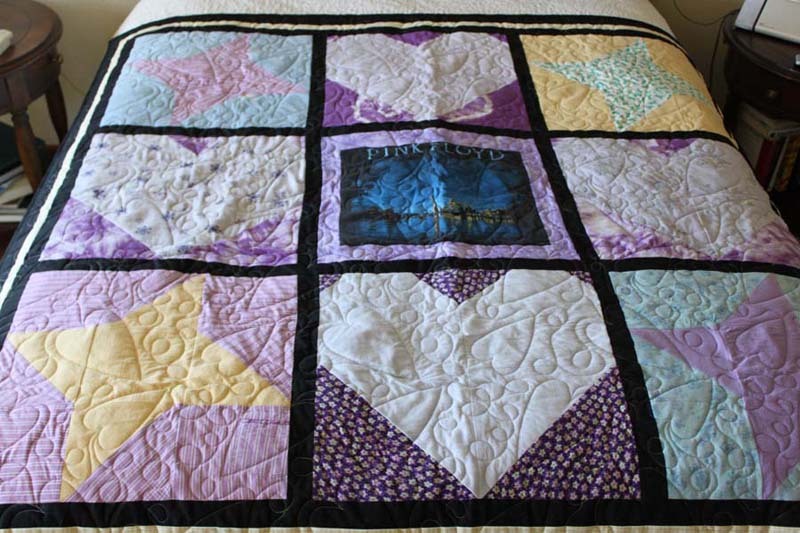 We work with you to to create a quilt that reflects what is important to you. 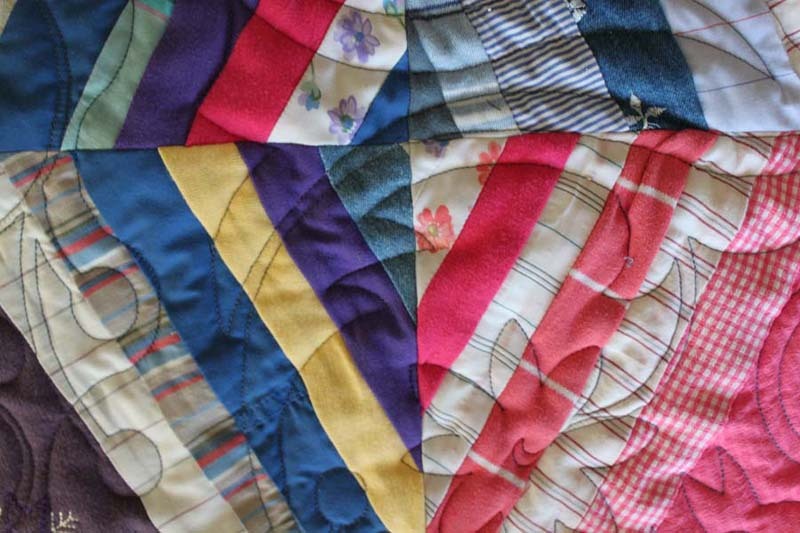 Common requests are to focus on a particular hobby, memory, vacation, or career. 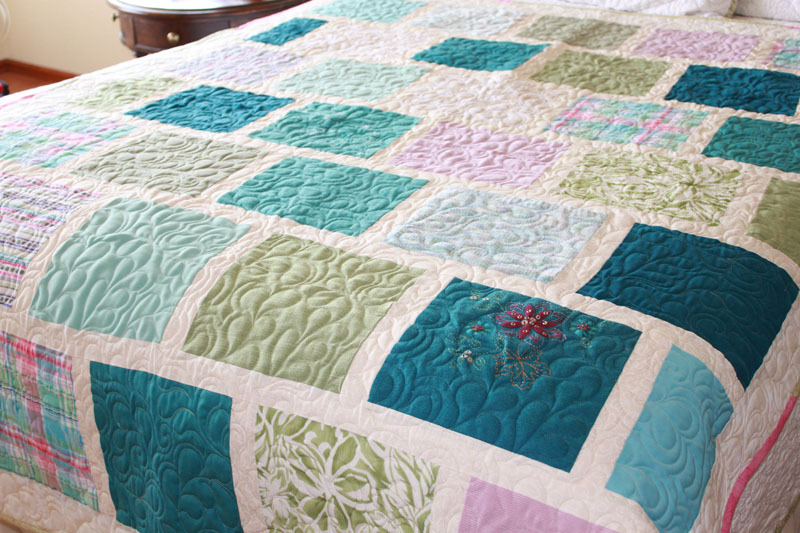 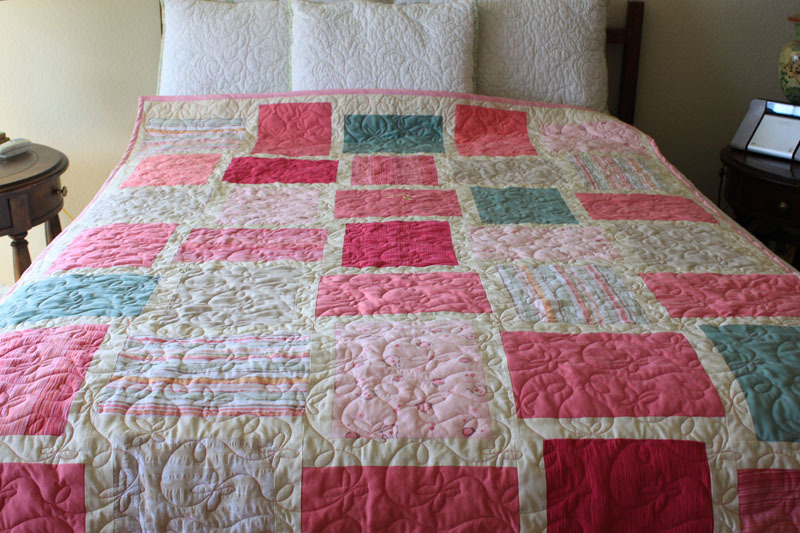 In most cases we are creating several quilts for different family members of the loved one. 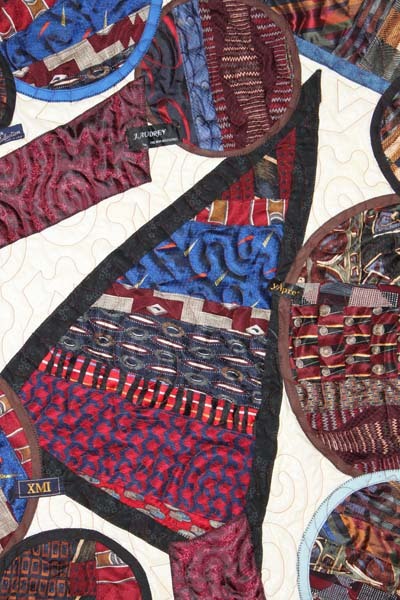 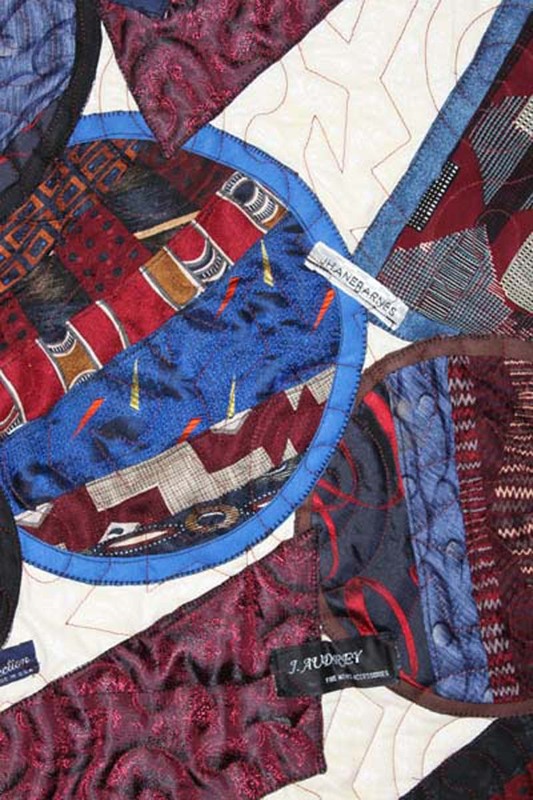 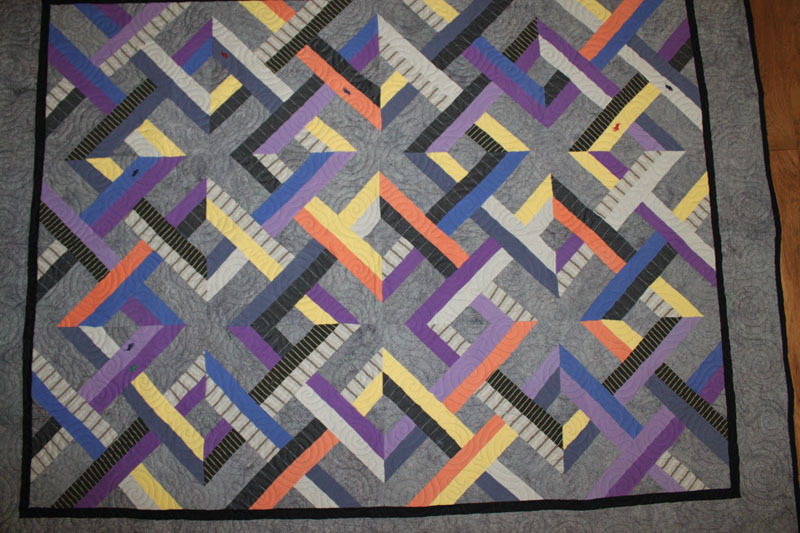 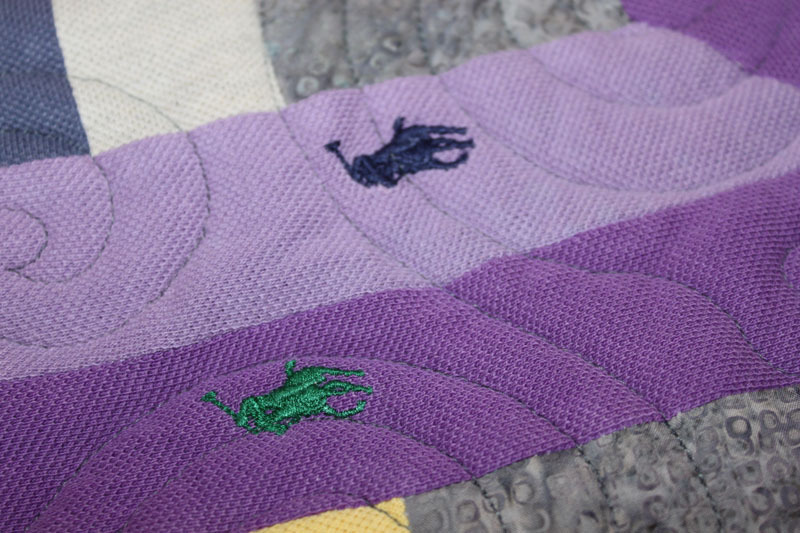 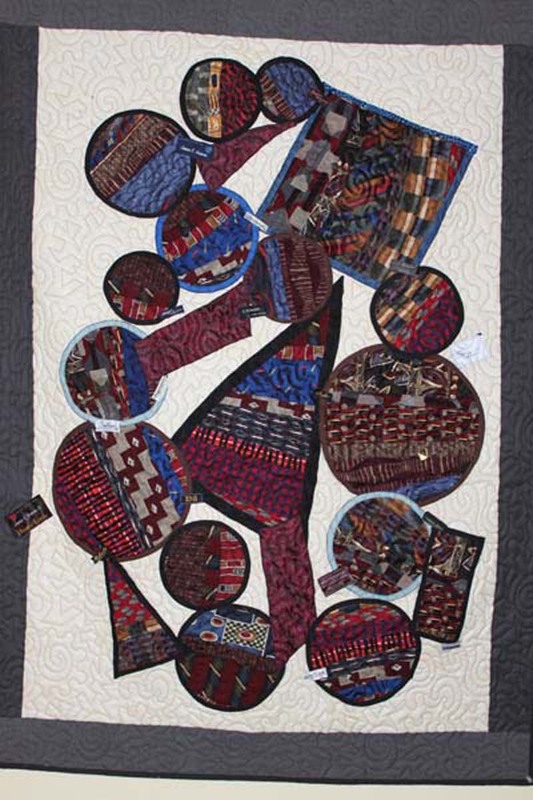 It is common to have us include a piece of particular article of clothing in every quilt or to focus each quilt on a unique theme. 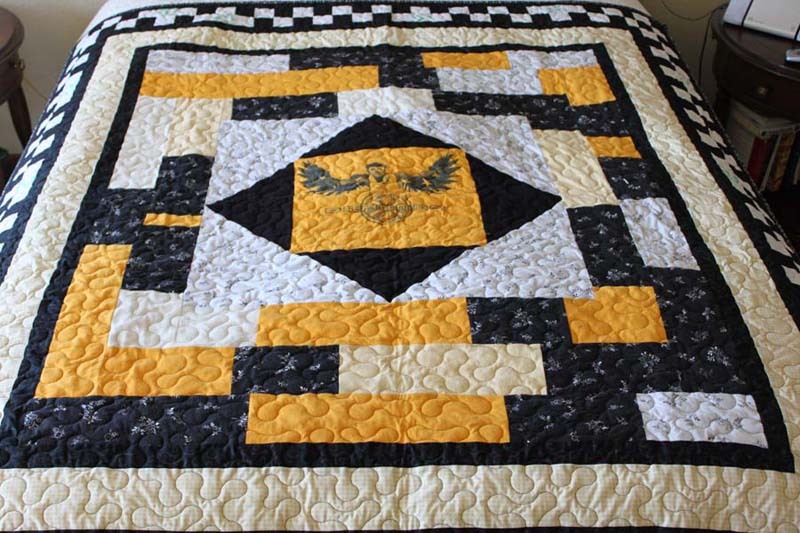 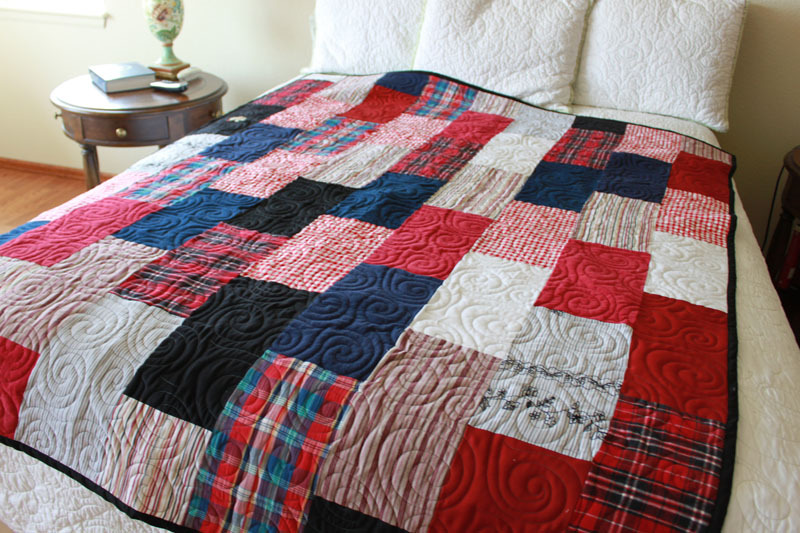 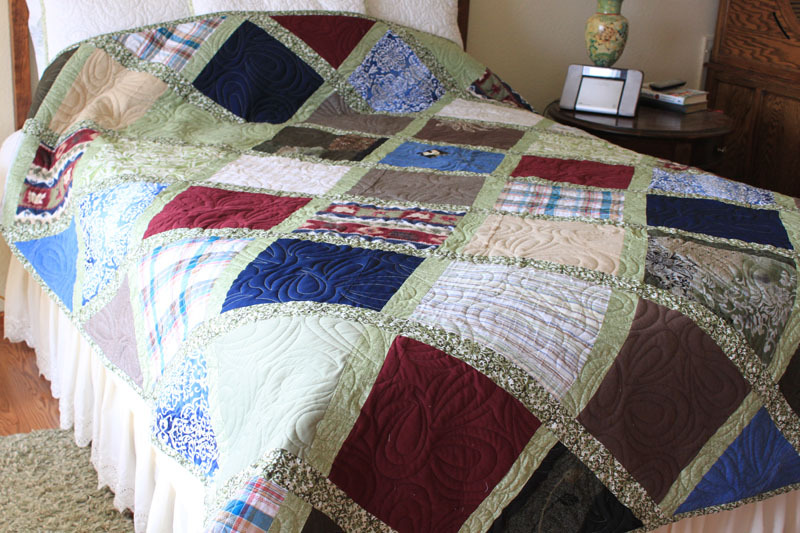 All photos are of quilts we created from boxes or bags of clothing articles deliverd to us by our clients.